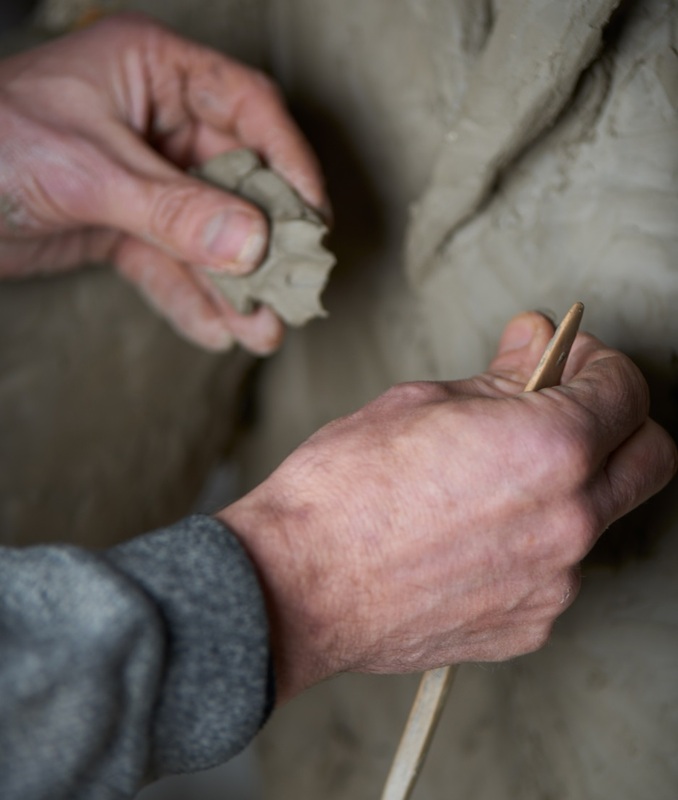 I was working in the studio this afternoon making a plaster mould of a new sculpture. Plaster generates a small amount of heat as it sets and I was smoothing off the last layer with my hands, feeling the warmth and seeing the smooth organic form take shape. It got me thinking again about materials I use in my practice and how lucky I am to use them. Maybe luck has little to do with it because I choose to use them. I have also been thinking about the materials that we all come into contact with in our day to day lives and how they have changed over the decades. Paper, wood, metal, wool, stone. So many materials replaced by plastic. Plastic is an amazing material of course but it doesn't offer the sensory experience of other materials. The weight and smell of a new book versus swiping a touch screen tablet. I encourage people to touch my sculptures. Feel the weight, feel the texture. I made them with my hands and through their hands they can understand more about the work and maybe more about me. 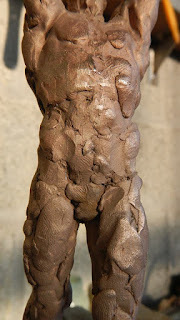 The materials I use most in the studio are clay, plaster, wax and bronze. I love clay. It is what I primarily use to model the artwork. I like the feel of it in my hands and the endless amount of textures I can make with it. Soften it with more water and I can make a slurry. Let it dry out and it will harden and crack as it shrinks and can be carved. I have bags of it in my studio that I have had for years. After I have finished moulding a piece I strip off the clay, wet it and put it back into bags. Plaster is another amazing material that has been used for centuries by sculptors. I use it mainly to make the moulds. A few hand fulls into a bucket of water and this soft white powder magically turns solid. Whether flinging it onto a surface in it's runny state or waiting until it is semi solid and moulding it with my hands it's such a versatile material and quite beautiful too. Not so beautiful that I don't curse as I put my hand into a cold bucket of plaster on a Winter's day. I use wax to model small pieces and also to cast into moulds to get a wax copy for the casting process. It softens in the hand and again can take on so many textures whether from sharp tools or the smooth molten surface from heat. One can often see the finger prints of the sculptor left in the wax in the final bronze. If bees wax is mixed in the wax becomes very smooth in the fingers and also give off a lovely scent. And to bronze; a seemingly ancient and timeless metal that can be cast relatively easily and yet be strong enough to stand for centuries. In fact the years enhance the appearance of bronze as the elements slowly patinate the surface.